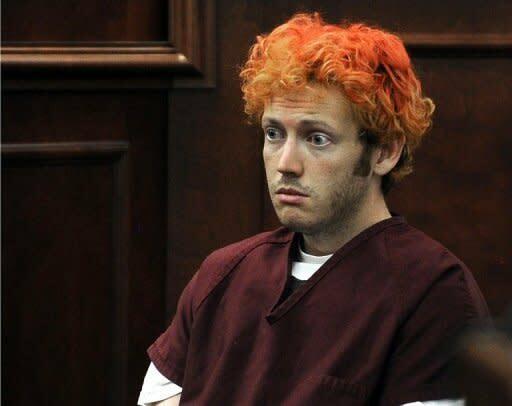 Shooting suspect James Holmes was seeing a psychiatrist at the University of Colorado-Denver, where he was a first-year graduate student in neuroscience, according to court documents released Friday. His psychiatrist, Lynne Fenton, a professor at CU's medical school and the director of student mental health services, specializes in schizophrenia, according to her online biography. The filing didn't disclose how long Holmes had been seeing Fenton, or for what condition, if any, he was being treated. Last week, Fox News reported that Holmes mailed Fenton a notebook filled with stick-figure drawings that showed a massacre, citing unnamed law enforcement personnel as sources. Fenton didn't receive the package until after Holmes was arrested on charges of entering an Aurora, Colo., movie theater and using several weapons to fatally shoot 12 people and injure 58 more. Holmes' defense lawyers write in their court filing that their client's constitutional rights have been violated by the government sources who leaked details of the package to news outlets, since the court has ordered all agencies not to reveal more details about the case. District Attorney Carol Chambers rebutted that charge, saying that she believes the media may have fabricated the law enforcement sources they quoted since many details of their accounts were inaccurate. Chambers writes that the package in question has not yet been examined by anyone, and that other outlets falsely reported that the FBI, not the Aurora Police Department, confiscated the package. Holmes reportedly failed his neuroscience oral exam in June, and a few days later decided to drop out of the competitive graduate program. CU Graduate School Dean Barry Shur told reporters at a press conference earlier this week that Holmes had excellent academic credentials, but he would not say whether his faculty advisers noticed signs of mental illness or violence in the student before he dropped out.